Drug Shortages and Antibiotic Delivery: What Has the Impact Been? A shortage of intravenous bags has impacted the way that many hospitals and health systems have delivered many parenteral products in recent months, with many health systems opting for intravenous (IV) push delivery methods as an alternative to other options. 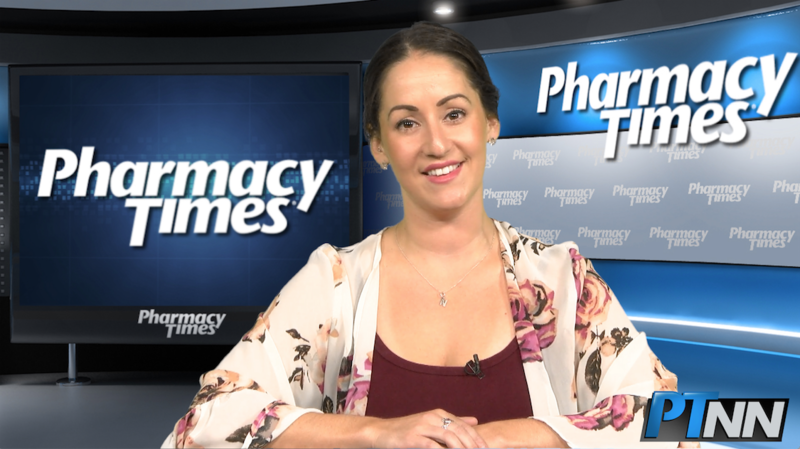 In a Pharmacy Times presentation, Samantha Spencer, PharmD, said there are important factors to consider relating to this shift specifically to IV push administration and discussed potential concerns for those hospitals that continue to use IV push as an option, despite the availability of less risky, ready-to-use, small volume products. Supported by Baxter Healthcare and held in Anaheim, California during the American Society of Health-System Pharmacists (ASHP) 2018 Midyear Clinical Meeting, Dr. Spencer’s presentation began with a discussion on using the correct terminology relating to IV push antibiotics, which she said, is not currently standardized in the medical literature. For the purposes of this discussion, Dr. Spencer defined IV push as a minimal fluid volume injected in less than or equal to 5 minutes. One reason more hospital and health-system pharmacies typically opt for IV infusions is that they are connected with lower administration errors, Dr. Spencer said.1,2 “The more manipulation you have, the more human elements that you’re putting into it, thus the greater risk that something’s going to go wrong,” Dr. Spencer explained. However, the nation has been grappling with a shortage of IV bags since Hurricane Maria caused manufacturing disruptions in Puerto Rico in late 2017. “When shortages arose, we had to revert back to our IV push delivery methods,” she said. Although there are some advantages and disadvantages to both routes of antibiotic administration, several factors must be considered when determining the best antibiotic delivery method for the patient, including cost, effort of administration, and safety risks. “It’s all a balancing game of trying to maximize patient safety, but still hitting your (level of) effort and cost,” she said. Lower cost is a benefit for IV push antibiotics, when compared to other delivery methods, but using IV push methods carry serious risks, Dr. Spencer explained.3 Dilution issues, ambiguous terminology, and poor or absent labeling can lead to administration problems. Dr. Spencer recommended using the 2015 ISMP Safe Practice Guidelines for Adult IV Push Medications as a guideline for best practices. “We want to make sure we use the best information that’s available,” she said. The ISMP guidelines address 8 components of antibiotic administration related to IV push: acquisition of distribution of adult IV push medications, aseptic technique, clinical preparation, labeling, clinical administration, drug information resources, competency, and error reporting. Multiple antibiotics have been approved by the FDA for IV push or slow IV push administration. However, other antibiotics, such as cefepime, ertapenem, gentamicin, piperacillin-tazobactam, and tobramycin, are supported by primary literature, but have not been approved by the FDA. Dr. Spencer advised against using the antibiotics that are not FDA approved and have little to no data. Other considerations for IV push administration include appropriate labeling, pharmacodynamic changes, and osmolality of solutions. Staff training and education also are important considerations, Dr. Spencer said, since products must be correctly reconstituted, stored, labeled, and administered to prevent serious medication errors. According to Dr. Spencer, unnecessary dilutions by nurses are compromising sterility and can lead to errors in dosing and administration. Dr. Spencer cited results of a recent survey indicating that of the 75% of the nurses who responded, more than half of the products they administered on a daily basis are not ready-to-use items. Educating nurses about ready-to-use options may change some administration practices, she said. “There may be issues that hospitals can focus on to build that education,” Dr. Spencer said. In addition to addressing education issues relating to IV push, other techniques suggested during the ASHP meeting to address drug shortage issues included designating a team to the effort. In a satellite symposium at ASHP, which was also supported by Baxter, Kevin Hansen, PharmD, MS, BCPS, Assistant Director of Pharmacy for Moses H. Cone Memorial Hospital in Greensboro, NC, said a drug shortage management team should be have interdisciplinary involvement with active roles for each member, as well as a streamlined workflow that prioritizes patient safety. 1. American Society of Health-System Pharmacists. Small-volume parenteral Solutions Shortages. https://www.ashp.org/drug-shortages/shortage-resources/publications/small-volume-parenteral-solutions-shortages?rel=0" . Accessed November 12, 2018. 2. Spencer S, Ipema H, Hartke P, et al. Intravenous push administration of antibiotics: literature and considerations. Hosp Phar. 2018;53(3): 157-169. https://doi.org/10.1177/0018578718760257?rel=0" . Published March 8, 2018. 3. Hansen. Safe practices & administration strategies for iv push medications. Pharmacy Purchasing & Products webinar. Aired November 11, 2018. https://www.pppmag.com/download.php?webinar_slides=12&file=files/webinars/slides/safeprep.pptx&rel=0" . 4. Institute for Safe Medication Practices. Some IV medications are diluted unnecessarily in patient care areas, creating undue risk. ISMP website. https://www.ismp.org/resources/some-iv-medications-are-diluted-unnecessarily-patient-care-areas-creating-undue-risk?id=82&rel=0" . Accessed December 11, 2018.